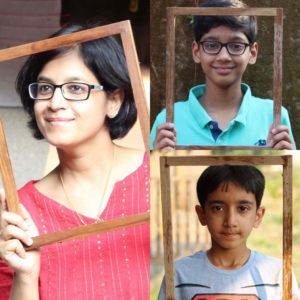 A. I am Disha, from Mumbai and mother of two boys, Siddhanth almost 13 yrs and Shaurya just turned 9 yrs. A. 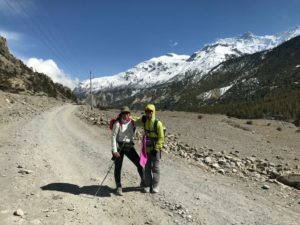 Immediately after my cycling trail to Bhutan. I never knew that cycling could be so much fun. I even had no idea on the varieties of bikes also. Q.What role does your bicycle play in your life? A. Same as what wings of a butterfly play, colorful, fluttery and always moving. 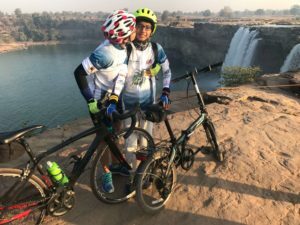 A. I started cycling as a passion much after I became a mom of two. Training happens only over the weekend else rest are school days. I have to manage time very well so that I am back home before everyone is out of bed and I don’t miss the morning family hours. A. Women are the backbone of the family. Women on the bike are an extremely liberating thought not just for the family but for the entire society. Let more women get on the saddle it will surely break various stereotype images and beliefs. A. I went through very bad pregnancies and gained massive weight. I could barely walk, leave aside cycling above all I was least bothered about my health that time. I wasn’t blissfully unaware about maintaining a good lifestyle. Activities that help your cycling: gym workout, running and swimming. A. How does it matter? I realized it pretty late after becoming a mom that, it is important to live for yourself. Kids will lead their own life sooner or later, what will I do then? I like riding early in the morning to be on my own before everyone else gets up back home. It is amazing! A. My boys are always excited about my bike rides as I come back and share ride stories with them. They even remind if I am not riding for days to get on the bike. A. Get hold of your life as soon as possible, you will fade sooner than you’ll realize so grab your shoes and move out and definitely do it. Free play is extremely important for children. you can teach them about mountains in geography textbooks but you can’t make them feel until they are out in nature. experience is not giving them a luxurious holiday but to bring them closer to nature. A. Moms, your duty to bring up your children is also an experience of self-learning and growth, maintain the two roles responsibly.